It is funny how things often repeat themselves. Fifty years ago, I came back from studying in Scotland and traveling throughout Europe. I finally was ready to settle down and work for a living rather than studying. I got a job and moved into a house. 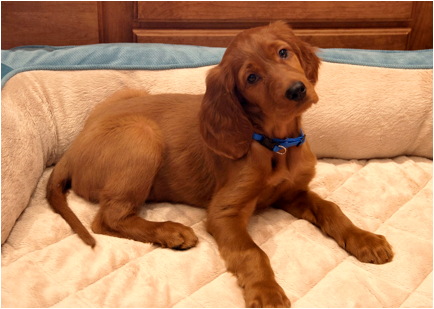 However, I still needed to fulfill a dream of mine, which was getting an Irish Setter. I got Ginger as a puppy, and she became the first member of the family. She enjoyed her time with me. When my children came into the world, Ginger was a doting older sister. However, after a dozen years, she died peacefully and without any pain as I laid next to her and gently stroked her back. It was one of the saddest days of my life as I comforted Ginger as she died next to me. 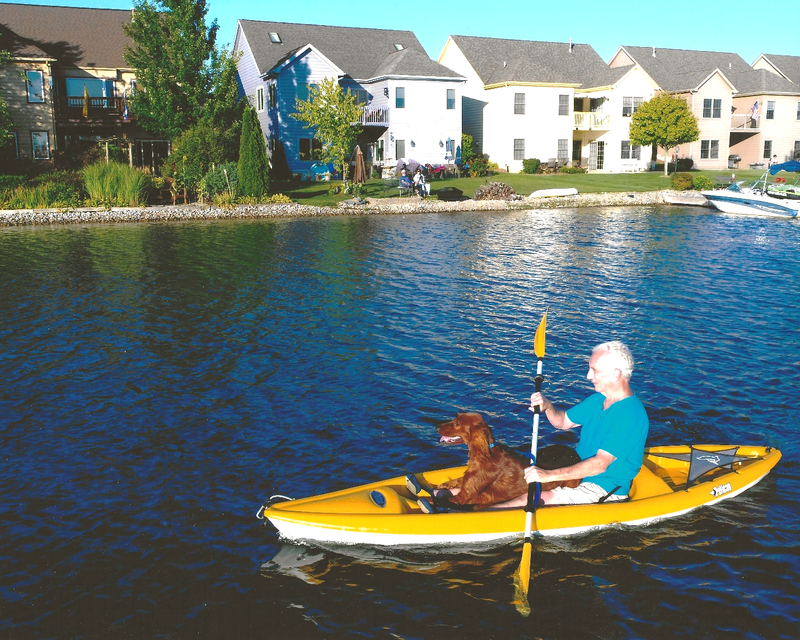 Now, in the twilight years of my life, I wanted to recapture the past…the past with an Irish Setter. I found a breeder near Pittsburgh where I lived while going to junior and senior high school, college, and graduate school. A couple of days before Christmas in 2017, I picked up a female Irish Setter puppy, whose name is Ginger. I love Ginger and that is a reciprocal relationship. I’m still teaching college classes online and writing essays. Additionally, I care for Ginger who is now a year and a half and is 75-pounds of pent up energy. While she is not yet perfect, she is moving slowly to curbing her hyperactivity. With either of my dogs, I had no intentions of breeding them. Therefore, both were spayed. My second Ginger had the procedure done at six months. All went well during surgery, but there were some minor post-opt problems. My vet wanted to keep her overnight just to make sure all was okay. The vet wasn’t concerned but just cautious. Nonetheless, I was a nervous wreck. The next day, I picked Ginger up and all seemed fine. However, I had to take her back each day of the two weeks until her stitches were removed except for one day. However, another day, we went back twice. I attempted to comfort her by petting her as I did with the first Ginger. It was deja vu all over again. I was in my mid-70s, and it wasn’t something for which I was prepared. After her stitches were removed, all was well. We returned to our happy life together. We play Chuckit before breakfast for ½ hour, at noon we circumnavigate the lake, which takes an hour, and before dinner we play Chuckit again. All was well. We settled into our daily routine. On weekends, we often would go kayaking. Ginger’s vet is proud of Ginger’s cardiovascular activities, and my cardiologist is happy with mine. Additionally, Ginger loves to go the vet for shots and check-ups. She was active and healthy…until one day while going around the lake, and I noticed some drooling. I happened to have to take her to the vet for a routine check-up and mentioned it to the vet. However, she wasn’t drooling at the time. So, we dismissed it as unimportant. However, the next day while we walked around the lake and the drooling returned. The drooling wasn’t like after she drinks water. The drool wasn’t watery but was a sticky mucilage-like substance. It would dangle 6-inches under her jaw. Obviously, Ginger knew something was clinging to her mouth. Therefore, she would shake her head, which resulted in the drool winding up on all over her head. 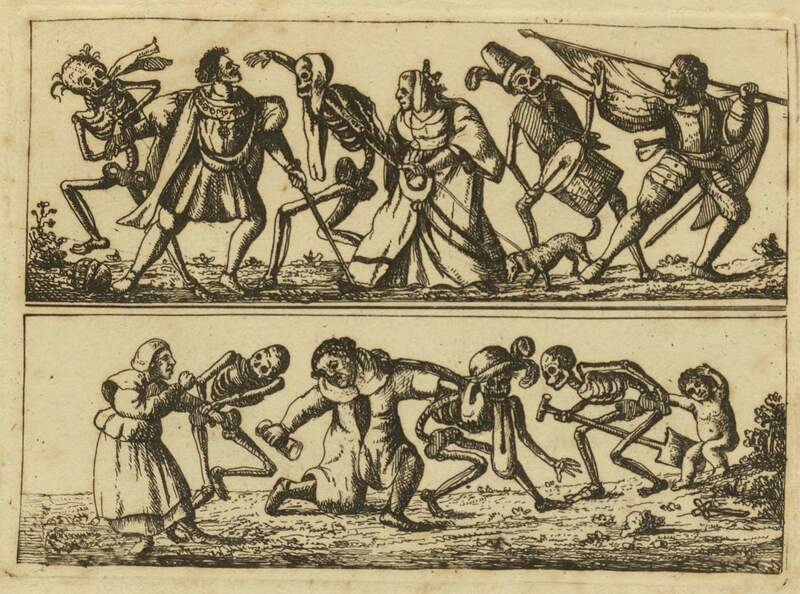 Along with the drooling, there was an issue of a combination of coughing and a vomiting sound, but nothing came up. In addition, her activity level was reduced about 25%, which still meant she was active but not hyperactive. The drooling continued and got worse. So, back to the vet we went. Again, I was scared. The vet looked at Ginger, listened to her heart, etc. Finally, I asked her what was causing this drooling problem. “Ginger has the flu,” said the vet. My retort was that she already had a flu shot several months ago. My vet’s response is that many people get flu shots and still get the flu. While I didn’t say what I thought, I wanted to say that it was my dog. Apparently, being my dog would guarantee that she wouldn’t get the flu. It took about three weeks before Ginger stopped drooling. The vet gave some antibiotics in case the virus caused a secondary problem. Additionally, the vet said that she could give Ginger meds that would stop her drooling and heaving. However, she wanted Ginger to get this out of her system and not kept inside of her. Ginger and I talk a lot, but when she isn’t feeling well, I will rub her back. That is reminiscent of when she was spade, and it is what I did when my first Ginger died. It haunts me to rub this Ginger’s back while recalling my first Ginger’s death. Therefore, we left the vet relieved to know that Ginger was merely dealing with the flu. However, it took her another three or four weeks to quit her drooling. Finally, Ginger was over the flu. Interestingly, a week or so later, we celebrated her year and a half birthday on April 28. 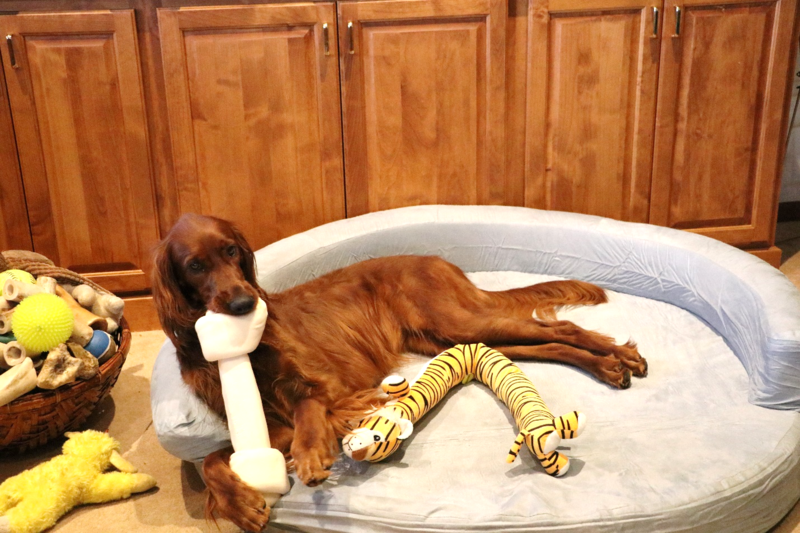 She got an 18-inch rawhide bone, a toy tiger, and a new bed. Then we had a party. After all the excitement subsided, I told Ginger that I loved her and suggested that we could circumnavigate the lake.